The latest addition to the Ita Vero Spring/Summer ’14 Collection is the Infanta Scarf. 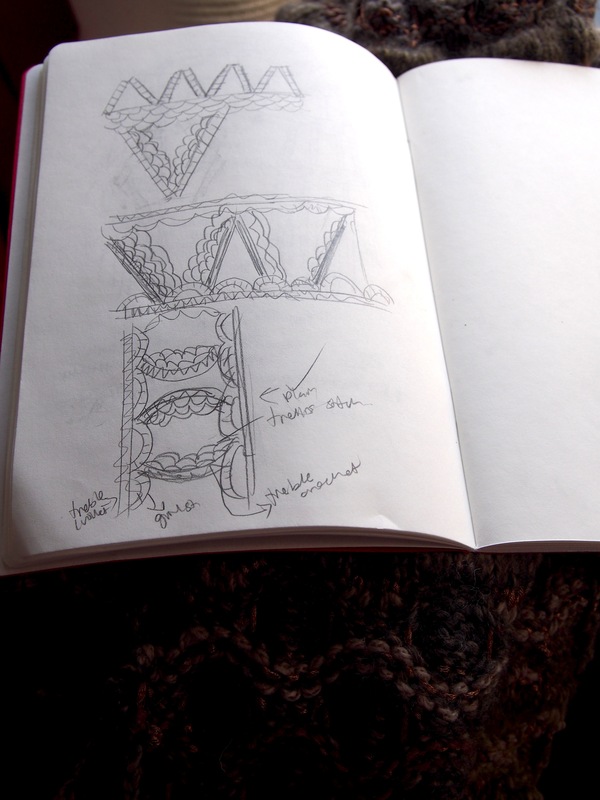 The lace scarf makes use of similar stitches as the previous Mantilla Scarf, but I had wanted to create more of a fan shaped silhouette. 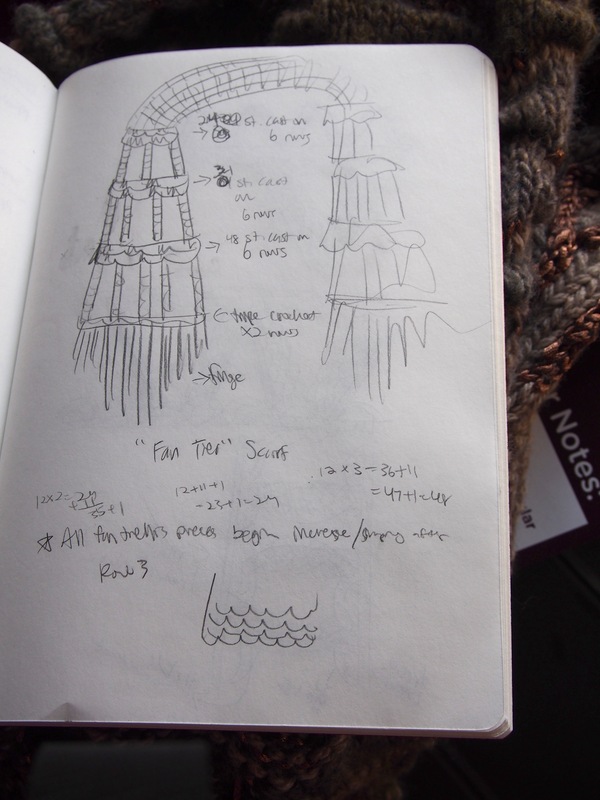 In the initial sketches, I had envisioned a romantic, dramatic piece, complete with cascading fringe. The fringe was edited away since it turned out to be too heavy and not well suited for the spring/summer seasons. As you can tell, I have a “chicken scratch” sketch style. I tend to do quick 10 second illustrations/notes as I prefer a more tactile, hands-on approach. However, I love doing little rough sketches to flesh out ideas or variations of an idea I have to get to the final design. 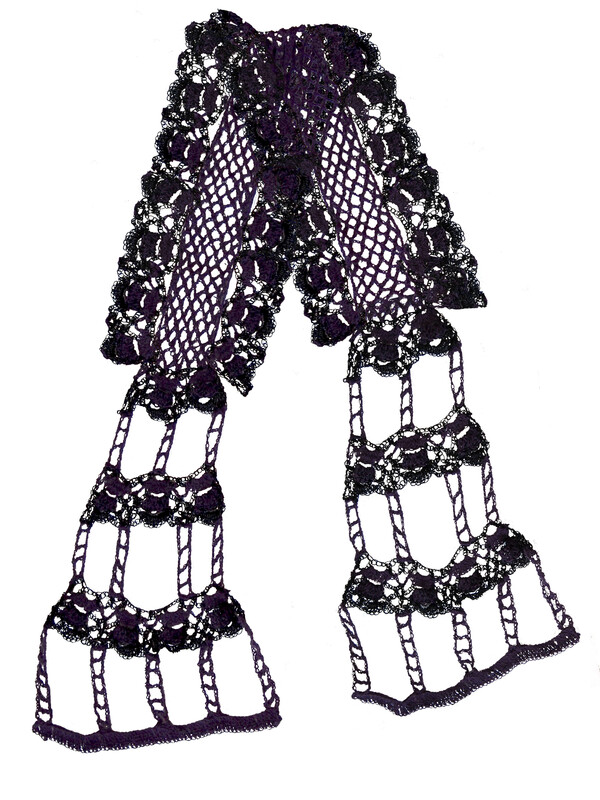 Infanta Scarf – available in the store! Yet another fashion week has come and gone. While the temperatures refuse to acknowledge the coming of spring, we dream of cozy knits to incorporate into our closets this fall based on trends in the Fall/Winter 2014 collections. I love how knitwear was a big focus this season. Valentino, a brand more known for its delicate wovens and romantic eveningwear, showcased exquisite and eye-popping graphic sweaters. Others were not afraid to embrace a head-to-toe knit look, such as the stylings seen at Celine and Haider Ackermann. Even It-boy Alexander Wang’s eponymous and Balenciaga collections used the tactile and visual elements of knitwear as an inspiration, developing leather jackets with knit textures and pushing the dimensionality of textiles. Which knitwear looks or designers caught your attention this season?